One of the benefits of moving around a lot is we often have overnight guests when our lovely family and friends visit us from out of town. This means I get plenty of excuses to whip up delicious breakfast recipes. I mean, cereal’s great and all, but I’m a better hostess than that! These eggs are a go-to breakfast staple. If you’ve ever stayed with us for a weekend, you’ve eaten them. Now, don’t let the pictures fool you. These are quite lovely in real life. I’m just not sure scrambled eggs lend themselves to beautiful photographic documentation. So you’ll have to trust me on this one. Now, a brief vent about spinach. I’ll be the first to praise the availability of fresh, in-season fruits and vegetables in my barrio, with the Mercado San Telmo a few blocks away and an excellent organic market every Saturday morning on Balcarce. But nothing makes me miss pre-washed, bagged veggies more than buying a bunch of fresh spinach, covered in dirt and mud. 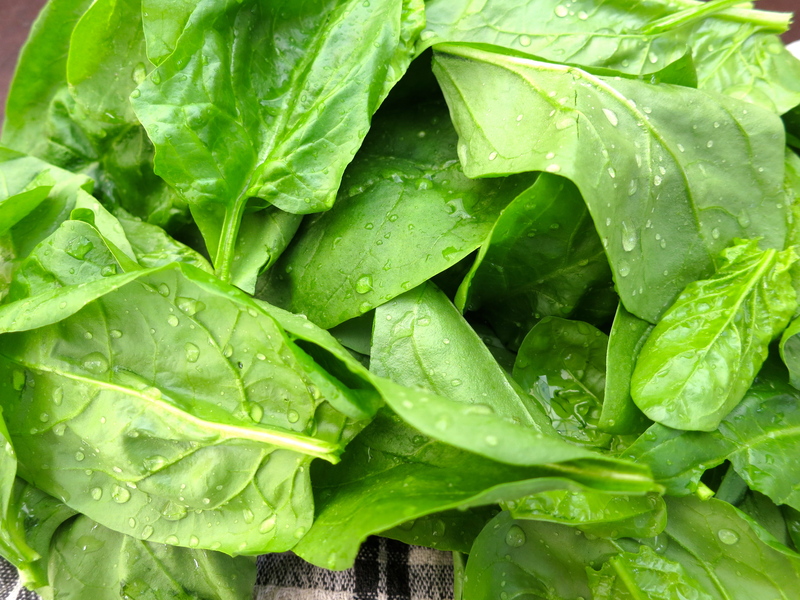 As I carefully wash each individual leaf and spread them out to dry, I think wistfully of Jewel-Osco and Whole Foods and the fact that I’d already be eating the damn spinach if I were in the States. While I’ve found bagged spinach at Jumbo, it was overpriced and still suspiciously dirty, with a misleading label that screamed “Buy & Eat! American-Style!” and for some reason that just completely depressed me. So I’ll stop complaining and stick to my 15-minute spinach-washing routine. Usually, I’d make this with the feta we’re accustomed to in the USA. You know the type: available as a block or pre-crumbled in vacuum-sealed plastic so the stink of it doesn’t immediately bowl you over? Well, on this morning I was too lazy to schlep (yeah, I said it) to the Jumbo in Puerto Madero to hunt down that particular import, so I decided to stand in the always painfully sloooow line for the cheesemonger at Mercado San Telmo and see what they had. I was happy to learn they had feta, though it turned out to be a feta unlike any I’ve ever tasted before. This may be because it wasn’t originally labeled feta. (Those sneaky argentinos). Upon close inspection, I found a tiny sticker had been added, claiming Queso Feta: Estilo Griego. Maybe so, maybe so. But to me it had the taste and texture of your standard semi-hard goat cheese. Not a bad thing, by any means, just not exactly what I associate with feta. 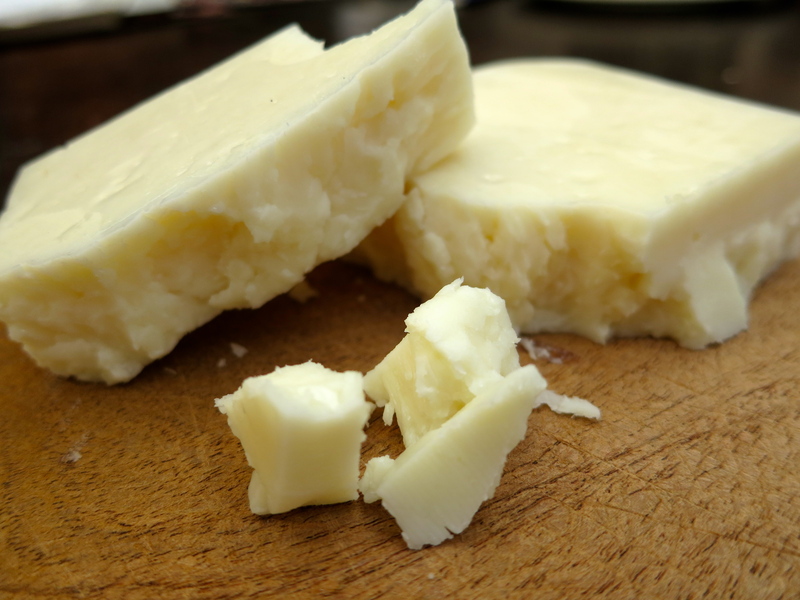 But in the words of my friend Frani, I’ve never met a cheese I didn’t like, so no complaints. 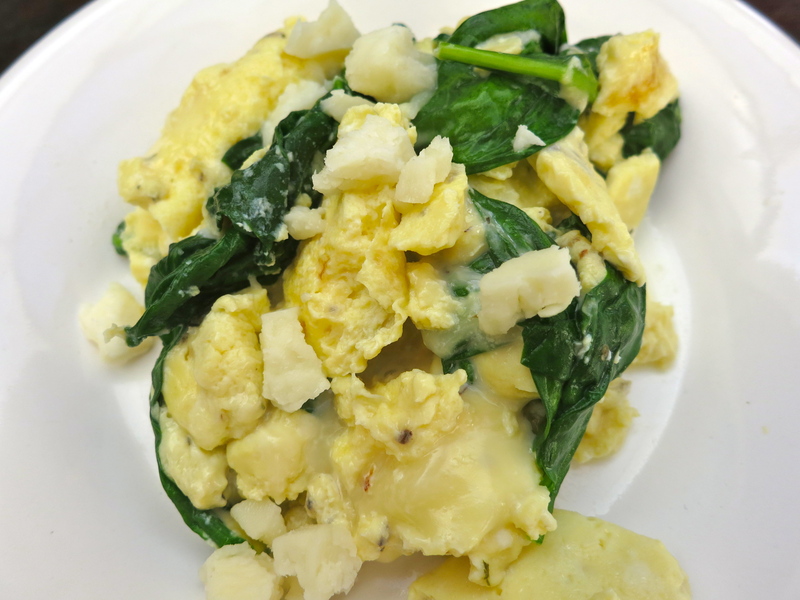 This recipe employs a technique that I’ve found is crucial to fluffy scrambled eggs. Resist the urge to stir! Be patient, let the eggs cook through a bit before touching them, and even then, do not stir vigorously. Just lift the cooked part and allow the rest to flow underneath. 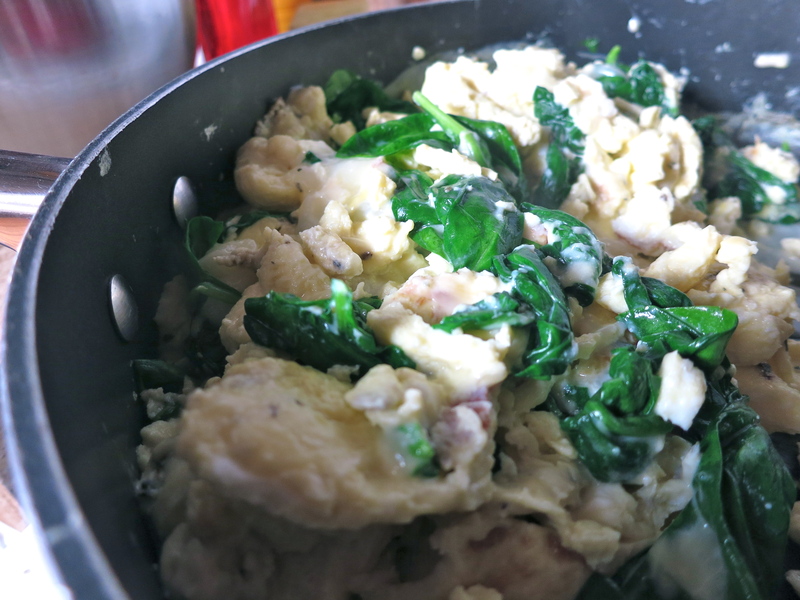 Beat together the eggs, milk, herbs, salt and pepper in a mixing bowl. Melt the butter in a large skillet over medium heat. Pour in egg mixture. Cook without stirring until mixture begins to set on the bottom and around the edge. Using a large spatula, lift and fold partially cooked eggs so that the uncooked portion flows underneath. Stir in spinach, cheddar cheese and half of the feta cheese. Continue cooking and stirring for 2 – 3 minutes until eggs are cooked through but still glossy and moist. Sprinkle with remaining feta cheese and fresh herbs.